Cognac is an eau-de-vie which reflects its origins. The concentric circles which surround the chalky central regions of the Grande et Petite Champagne Regions each have different characteristics. These different characteristics are brought out by the different methods of tending to the vines, differing distillation and ageing techniques. However, it is during the Ageing process, when Cognac spends time in oak barrels that it acquires its full personality according to the oxidisation and the tannin and aromas brought to it by the wood. The Cellar Master's art lies in marrying together Cognacs from different regions and different years in order to obtain the flavour and style characteristic of a particular house. Tasting a Cognac begins with the choice of a glass, which will allow the eau-de-vie to express all of its qualities. We recommend tulip- or onion-shaped glasses, the shapes of which have been widely studied. It has been found that these glasses retain the aroma well, releasing it delicately over the course of the tasting. To the untrained, drinking Cognac is above all a pleasure! 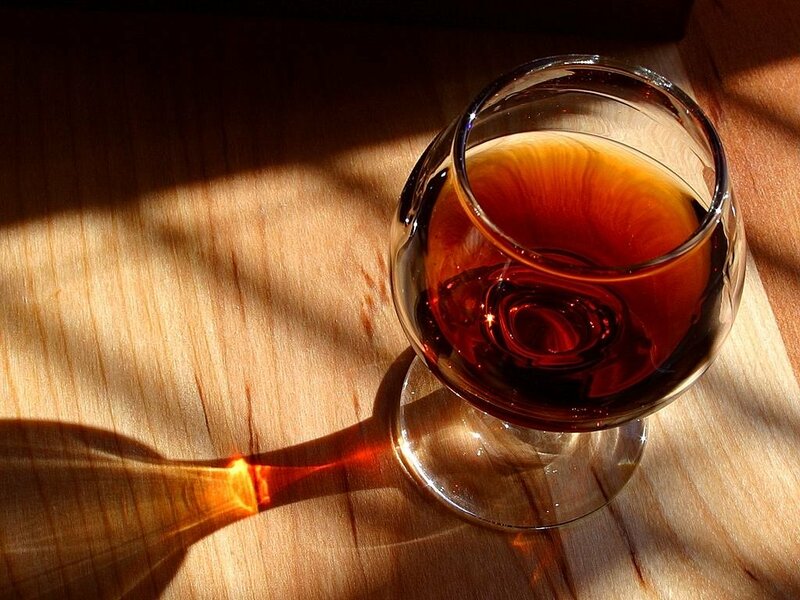 However, certain rules can be followed to analyse the colour, delicacy, origin and vintage of the Cognac, allowing the observation of a particular Cognac's points of merit. Tasting calls upon all of the senses: sight is important, although the sense of smell and taste are paramount. 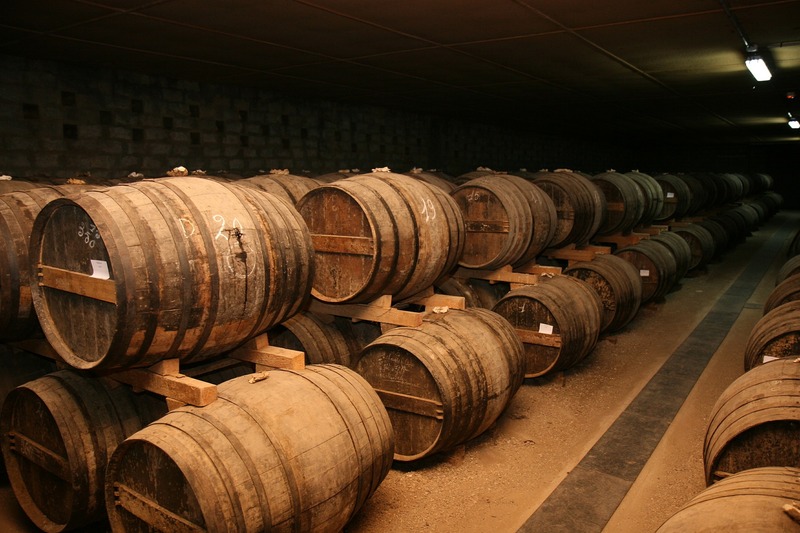 The colour of the eau-de-vie comes from its maturation in oak barrels. Generally there are two sorts of eaux-de-vie: "white" spirits which have not spent time in wood, and matured eaux-de-vie, such as Cognac, which have progressively taken the colour and tanin from the barrels. When tasting a Cognac, this colour should be observed. You should note the transparency of the Cognac and its shine. Check for any cloudiness, debris in the liquid, and for any iridescence, which can signify the presence of undesirable traces of oil. Finally, examine the viscosity of the Cognac, observing the "legs" which cling to the side of the glass. Three inhalations are necessary to carry out the olfactory analysis: firstly with the Cognac kept still, secondly with the Cognac moving gently in a circular motion, and thirdly with the Cognac really agitated. This allows the different aromas, from the most volatile to the heaviest, to come through. As you bring the glass to your nose, the most volatile odours are the first to hit you, but then the essential bouquet of the Cognac appears (all olfactory sensations are important: the scent and the aroma). Floral or fruity scents abound in the second inhalation, such as dried lime blossom, vine flowers, dried vine shoots, grape juice, violets, vanilla. Eaux-de-vie made from wine generally provides the following scents: floral, fruity, spiced, woody and empyreumatic (from the Greek "pyros" or fire. This incorporates all smoky, grilled, roasting, toasting and burnt aromas) as well as rancio. It is therefore possible to observe the presence of the various aromas, the complexity of the palate and its independance from the alcoholic force. The alcohol should not hide the aromas; it is merely a way of making them flourish. First of all you must distiguish between the four separate flavours: sweet, savoury, acidic, and bitter. For this, you need to analyse the taste of the eau-de-vie in the mouth whilst tasting, as well as the aftertaste. The first part to describe is the alcohol present. You should judge this on its strength and its melting quality. Then assess the structure and the tannin frame. Finally, while tasting you can also appreciate the length of time the eau-de-vie stays with you, and develops in your mouth. This is one of the most French practices, which reveals the soul of the Cognac . Place a piece of paper over the glass which you used for tasting, at the bottom of which a last drop remains. A few hours later, or even better the following morning, you can remove the paper, and inhale deeply. The aromas held hostage can now escape, to the joy of those initiated in this tradition. It is normally the heaviest aromas that remain, the most subtle, precious and rare, aerated and stripped of the alcohol, which have been able to develop and finally reveal themselves. Scent (or l'Odeur) : All olfactory sensations perceived directly. Aroma (or l'Arôme) : All olfactory sensations perceived by the retro-nasal path: the pleasant smells given off by the Cognac. Bouquet (or le Bouquet) : All of the olfactory sensations (odour and aroma). Rising (le Montant) : The first Odour of the Cognac. Length on the Palate (or le Longueur) : The persistance of the first Scent of the Cognac (duration of the intensity of the Rising). Taste (or Saveur) : Gustative sensations perceived by the tongue and the palate. Palate (or Goût) : All of the sensations perceived in the mouth (Taste plus Aroma). Flavour (or Flaveur) : All of the sensations perceived simultaneously by the nose and the mouth (Taste and Bouquet). Rancio : Term qualifying the very drinkable flavour of a Cognac as it ages in oak barrels. This flavour intensifies with time and gives the Cognac a fuller, fattier character.